"May the God of peace inspire in all a genuine desire for dialogue and reconciliation. Violence is never defeated with violence. Violence is defeated with peace." At the Sunday Angelus Francis comments on the parable of the wheat and the weeds. God is "patient" He knows "the same weeds in the end, may become good wheat". But "at the time of the harvest, that is, of judgment, the reapers will execute the order of the master separating the weeds to be burned". 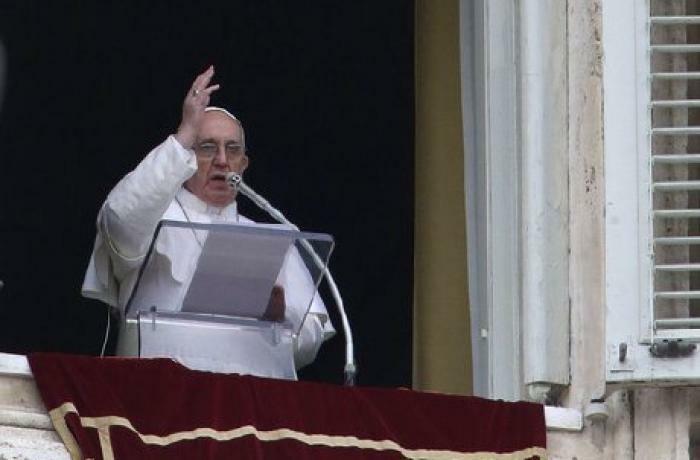 Vatican City (AsiaNews) - This Sunday at the Angelus, Pope Francis invited all to pray for "situations of tension and conflict that persist in different parts of the world especially in the Middle East and Ukraine". The Pope said he had learned with "concern the news coming from the Christian communities in Mosul (Iraq) and in other parts of the Middle East, where, from the very beginning of Christianity, they have lived with their fellow citizens, providing a significant contribution the good of society". "Today - he continued - they are our persecuted brothers and sisters. They are being forced to leave their homes and leave everything behind. I assure these families and these people that I am close to them. I am with you who are persecuted, I know how you suffer I know you are stripped of everything, I am with you in faith in the One who has conquered evil. To all of you here in the square and those who follow us I invite you to continue in prayer. May the God of peace inspire in all a genuine desire for dialogue and of reconciliation. Violence is never defeated with violence. Violence is defeated with peace ". The Pope was referring to the situation of persecution that the patriarch of the Syro-Catholic Church, Ignace Joseph III Younan described when he reported that "the archbishopric in Mosul was totally burnt, all of the manuscripts, the library," while the few remaining Christians were forced to convert to 'Islam, pay the jizya, the heavy tax levied on infidels, or be killed. 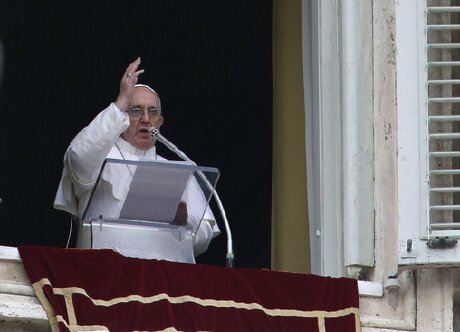 Before the Marian prayer, the Pope spoke of the parable of the wheat and the weeds" commenting on how in Hebrew the term has the same root as the name Satan and invokes the concept of division. We know that the devil is a 'weed' who wants to divide the people. The servants want to pluck the weeds, but the Master prevents this reasoning: " No, if you pull up the weeds you might uproot the wheat along with them " (Mt 13, 29) ". "The scene - the Pope said - takes place in a field where the master sows wheat, but one night the enemy comes and sows weeds in the dark. The lesson of the parable is twofold. Firstly it says that the evil in the world is not God's work, but that of his enemy, the devil. This enemy is cunning: he sowed evil in the middle of good, so that it is impossible to clearly separate them, but God, in the end, can". "And here we come to the second theme: the contrast between the impatience of servants and the patient waiting of the master of the field, who represents God. We sometimes are in a hurry to judge, classify, put the good to one side, the bad to another... But remember the prayer of the proud man, thank you God because I am so good ... but God knows how to wait. He looks at the 'field' of the life of every person with patience and mercy: He sees filth and evil much better than us, but He also sees the seeds of good and waits with confidence for them to mature. God is patient and waits. Our God is a patient father waiting for us to forgive us. He always forgives us if we go to Him ..The master's attitude is that of hope founded on the certainty that evil has neither the first nor the last word. And it is thanks to this patient hope of God that the same weeds in the end, can become good wheat. But beware: patience is not evangelical indifference to evil you cannot confuse good and evil! In front of the weeds present in the world, the disciples of the Lord are called to imitate the patience of God, nourish the hope with the support of an unshakable faith in the ultimate victory of good, that is of God, In fact, in the end evil will be removed and disposed of at the time of the harvest, that is, the judgment, the reapers will execute the master's order and separate the tares to be burned (cf. Mt 13:30). " "On that harvest day Jesus will be the final judge, the One who sowed good seeds in the world and who himself became a 'grain of wheat', who died and rose again. Eventually we will all be judged by the same standard with which we judged: the mercy that we had towards others will also be used toward us. Let us ask the Blessed Virgin, our Mother, to help us to grow in patience, hope and mercy".